Plans for works at Picardy Place in Edinburgh are set to go in front of the public on Saturday 23 September. Forming a principal public road junction to the north east of Edinburgh City Centre, Picardy Place lies within the Edinburgh World Heritage Site and the New Town Conservation Area. As part of the wider ongoing regeneration of the east end of the city, the proposed works would create a vastly improved environment at Picardy Place which better addresses and improves pedestrian, cycle and vehicle movement, whilst futureproofing the site for any potential development. 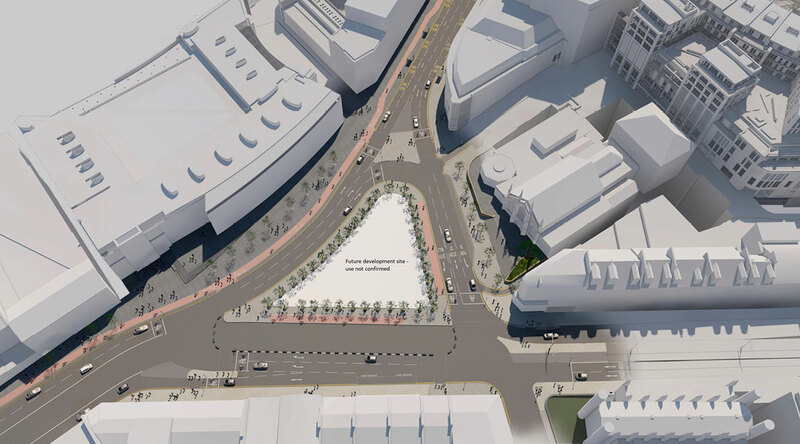 The proposed plans, which comprise three streets, aim to fundamentally alter the layout of Picardy Place, improving the gateway in and out of Edinburgh and defining the Leith Street/Leith Walk urban corridor, while providing a major public transport interchange. 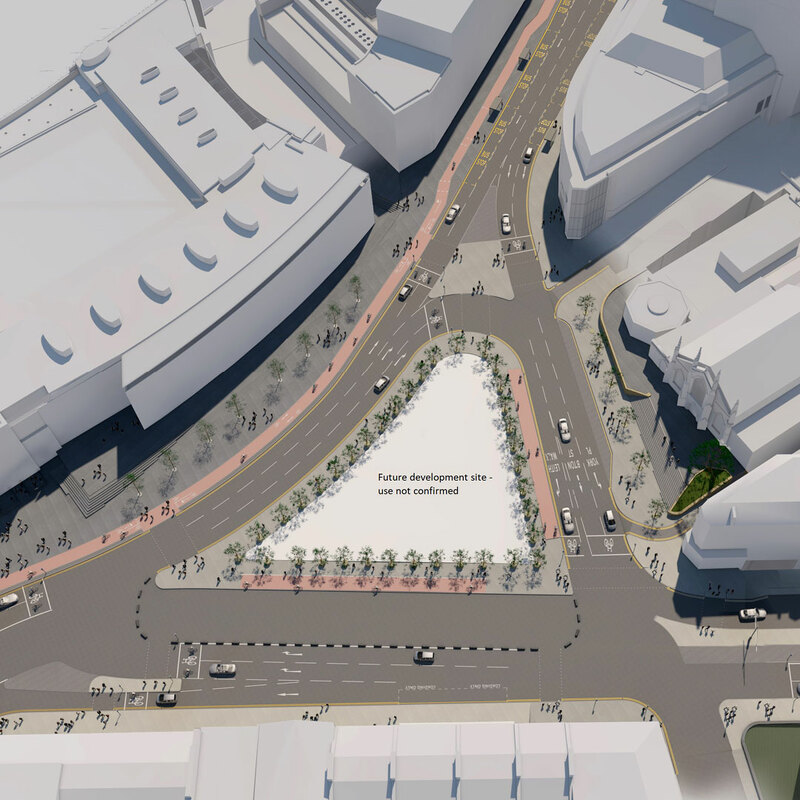 The revised road layout would encourage lower speeds and greater road safety, whilst helping to improve the flow of traffic to the area, enhancing the vitality and accessibility of the city centre. The design also seeks to maximise pedestrian and cycle movement by delivering a sense of priority for non-drivers to the area. The objective has been to create routes that are suitable for less confident cyclists and which are compatible with the Council’s target of significantly increasing cycle use as set out in its Active Travel Action Plan, whilst pedestrian routes would provide direct and convenient access through the area. The proposals, together with the current Leith Street works, are set to prepare the area for future development and facilitate the £1 billion Edinburgh St James scheme, all of which would improve the gateway in and out of Edinburgh and revitalise the east end of the city. TH Real Estate and Laing O’Rourke have been contracted by City of Edinburgh Council and the Scottish Government to deliver the programme. “The reconfiguration of Picardy Place is a crucial part of improving what is a key gateway to Edinburgh, regenerating the east end of the city centre and future-proofing the site for future development. “I’m pleased that the designs have been updated and improved to reflect feedback received from cycle and other interest groups, and that they now pay much closer attention to the needs of all road users, however they may be travelling. Further information will be available at the public information session, which will take place at Valvona & Crolla VinCaffè, 11 Multrees Walk, on Saturday 23 September between 10am – 4pm. Together For Edinburgh is a city-wide partnership working towards the regeneration of the East End of Edinburgh. Led by Edinburgh St James and Laing O’Rourke, the partnership is supported by the City of Edinburgh Council, Scottish Futures Trust and the Scottish Government. Designed by Allan Murray Architects, the 1.7 million sq ft Edinburgh St James scheme will see the 1970s shopping centre currently on site replaced with 850,000 sq ft of retail space, a luxury hotel, up to 150 new homes, 30 restaurants and a multi-screen cinema. A world-class example of city enhancing place-making, Edinburgh St James is one of the UK's largest and most significant regeneration projects. Construction started in 2016, with completion due in 2020.